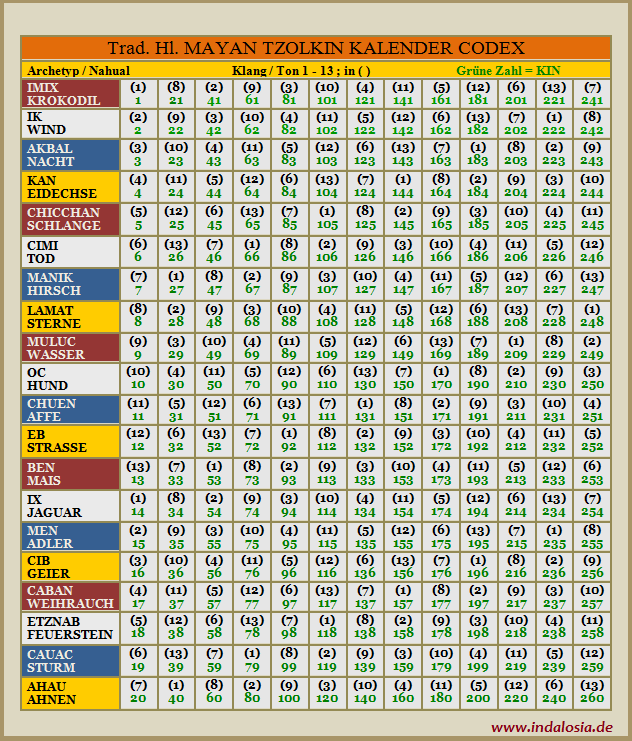 The Mayan calendar is confusing to many, she said. It counts long cycles of 144,000 days, with each cycle called a b'ak'tun, or baktun, and the Maya count back epochs over many cycles and then forward for thousands of years. "The ancient Maya had a concept of long, continuous time on their calendar, but never an 'end time,' " Joyce said. "In their calendar this is now the 13th baktun, and it does end on Dec. 21 as the calendar says. But the cycle will then begin again as the 14th baktun, and there will always be another baktun. 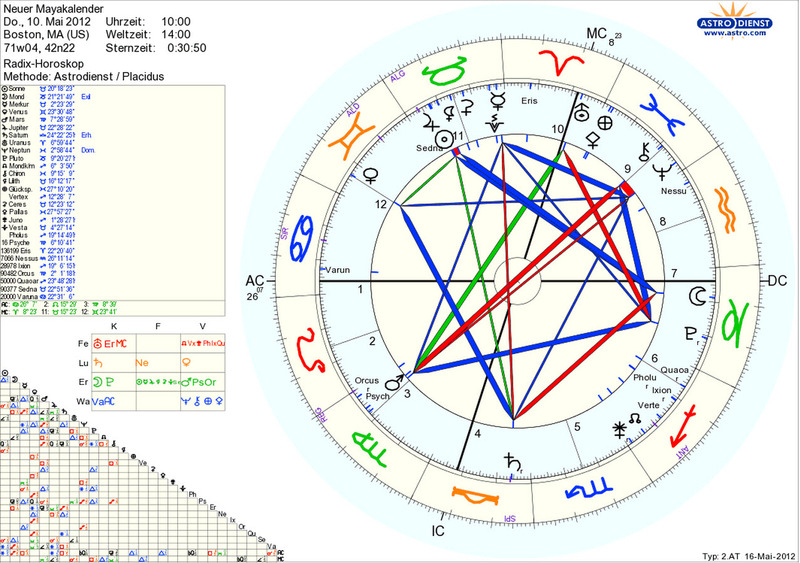 The 2012 phenomenon was a range of eschatological beliefs that cataclysmic or transformative events would occur around 21 December 2012. This date was regarded as the end-date of a 5,125-year-long cycle in the Mesoamerican Long Count calendar, and as such, Mayan festivities to commemorate the date took place on 21 December 2012 in the countries that were part of the Mayan empire (Mexico, Guatemala, Honduras, and El Salvador), with main events at Chichén Itzá in Mexico, and Tikal in Guatemala.Various astronomical alignments and numerological formulae were proposed as pertaining to this date, all unequivocally rejected by mainstream scholarship. A New Age interpretation held that the date marked the start of a period during which Earth and its inhabitants would undergo a positive physical or spiritual transformation, and that 21 December 2012 would mark the beginning of a new era. Others suggested that the date marked the end of the world or a similar catastrophe. Scenarios suggested for the end of the world included the arrival of the next solar maximum, an interaction between Earth and the black hole at the center of the galaxy, or Earth's collision with a planet called Nibiru.Scholars from various disciplines quickly dismissed predictions of concomitant cataclysmic events as they arose. 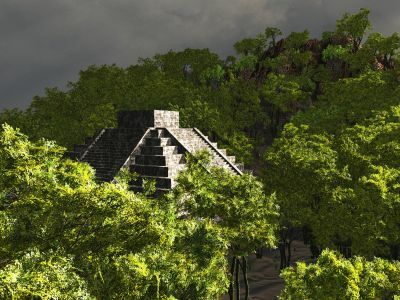 Professional Mayanist scholars stated that no extant classic Maya accounts forecast impending doom, and that the idea that the Long Count calendar ends in 2012 misrepresented Maya history and culture,while astronomers rejected the various proposed doomsday scenarios as pseudoscience, easily refuted by elementary astronomical observations. There is a strong tradition of "world ages" in Mayan literature, but the record has been distorted, leaving several possibilities open to interpretation. According to the Popol Vuh, a compilation of the creation accounts of the K'iche' Maya of the Colonial-era highlands, we are living in the fourth world. The Popol Vuh describes the gods first creating three failed worlds, followed by a successful fourth world in which humanity was placed. In the Maya Long Count, the previous world ended after 13 b'ak'tuns, or roughly 5,125 years. The Long Count's "zero date ,was set at a point in the past marking the end of the third world and the beginning of the current one, which corresponds to 11 August 3114 BC in the proleptic Gregorian calendar. 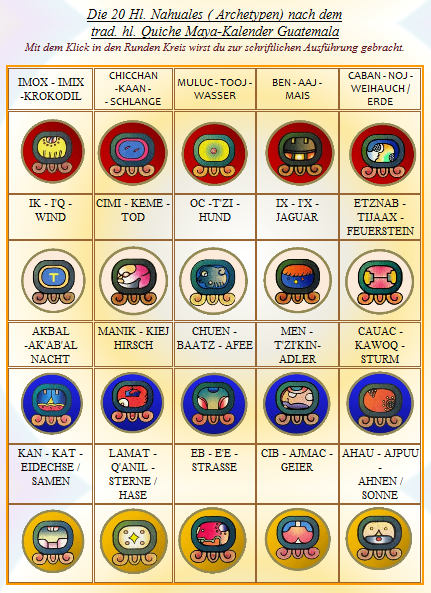 This means that the fourth world reached the end of its 13th b'ak'tun, or Mayan date 13.0.0.0.0, on 21 December 2012. 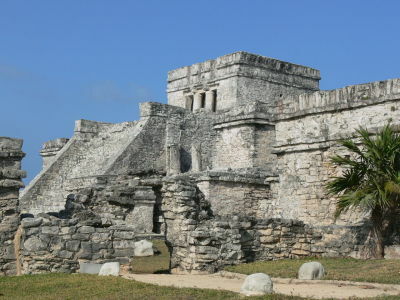 In 1957, Mayanist and astronomer Maud Worcester Makemson wrote that "the completion of a Great Period of 13 b'ak'tuns would have been of the utmost significance to the Maya".In 1966, Michael D. Coe wrote in The Maya that "there is a suggestion that Armageddon would overtake the degenerate peoples of the world and all creation on the final day of the 13th , b'ak'tun. Thus our present universe would be annihilated [in December 2012 when the Great Cycle of the Long Count reaches completion. Coe's interpretation was repeated by other scholars through the early 1990s. In contrast, later researchers said that, while the end of the 13th b'ak'tun would perhaps be a cause for celebration, it did not mark the end of the calendar. "There is nothing in the Maya or Aztec or ancient Mesoamerican prophecy to suggest that they prophesied a sudden or major change of any sort in 2012", said Mayanist scholar Mark Van Stone. "The notion of a 'Great Cycle' coming to an end is completely a modern invention. In 1990, Mayanist scholars Linda Schele and David Freidel argued that the Maya "did not conceive this to be the end of creation, as many have suggested". 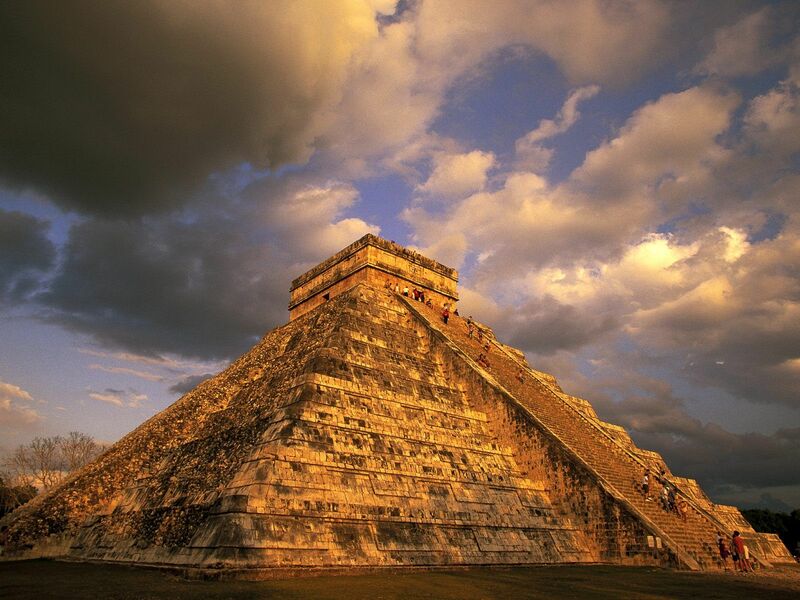 Susan Milbrath, curator of Latin American Art and Archaeology at the Florida Museum of Natural History, stated that, "We have no record or knowledge that the Maya would think the world would come to an end" in 2012. 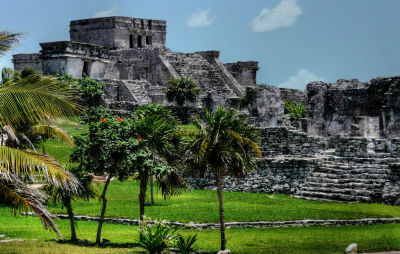 Sandra Noble, executive director of the Foundation for the Advancement of Mesoamerican Studies, said, "For the ancient Maya, it was a huge celebration to make it to the end of a whole cycle", and, "The 2012 phenomenon is a complete fabrication and a chance for a lot of people to cash in". "There will be another cycle", said E. Wyllys Andrews V, director of the Tulane University Middle American Research Institute. "We know the Maya thought there was one before this, and that implies they were comfortable with the idea of another one after this." 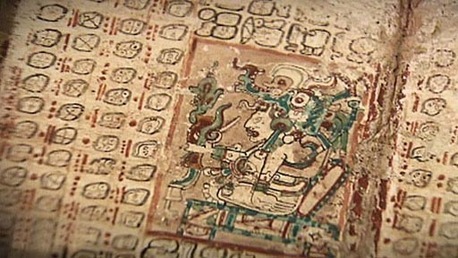 Commenting on the new calendar found at Xultún, one archaeologist said ". The ancient Maya predicted the world would continue that 7,000 years from now, things would be exactly like this. We keep looking for endings. 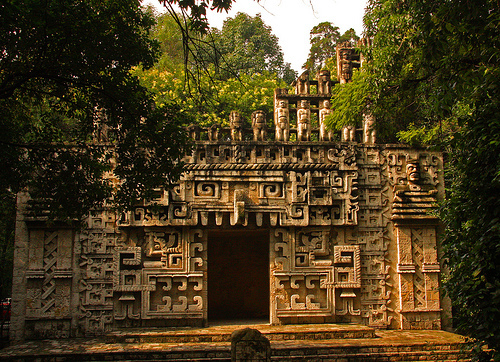 The Maya were looking for a guarantee that nothing would change. It's an entirely different mindset.Several prominent individuals representing Maya of Guatemala decried the suggestion that the world would end in the b'ak'tun 13. Ricardo Cajas, president of the Colectivo de Organizaciones Indígenas de Guatemala, said the date did not represent an end of humanity but that the new cycle "supposes changes in human consciousness". Martín Sacalxot, of the office of the Procurador de los Derechos Humanos (Guatemala's Human Rights Ombudsman, PDH), said that the end of the calendar has nothing to do with the end of the world or the year 2012. 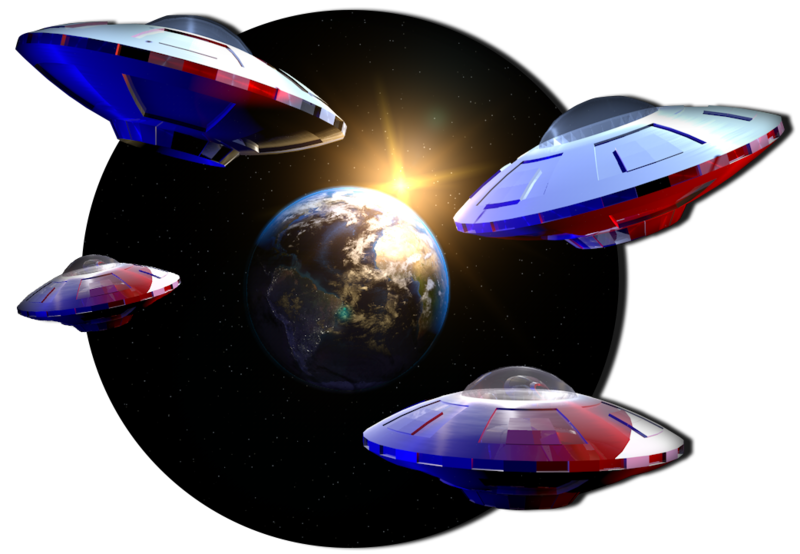 In 1975, the ending of b'ak'tun 13 became the subject of speculation by several New Age authors, who asserted it would correspond with a global "transformation of consciousness". 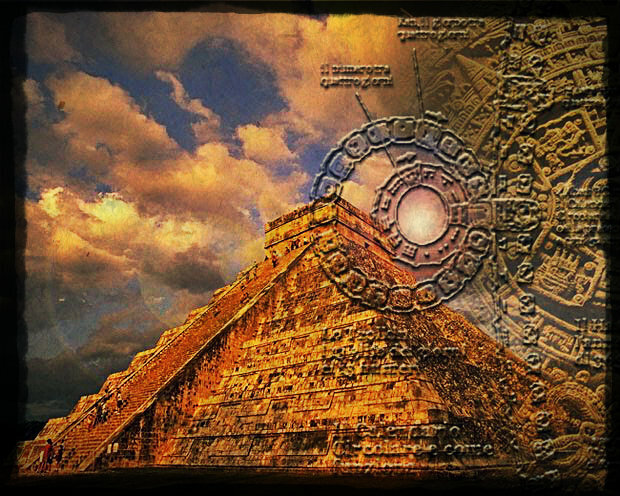 In Mexico Mystique: The Coming Sixth Age of Consciousness, Frank Waters tied Coe's original date of 24 December 2011to astrology and the prophecies of the Hopi, while both José Argüelles in The Transformative Vision and Terence McKenna in The Invisible Landscape discussed the significance of the year 2012 without mentioning a specific day. In 1983, with the publication of Robert J. Sharer's revised table of date correlations in the 4th edition of Morley's The Ancient Maya, each became convinced that 21 December 2012 had significant meaning. By 1987, the year in which he organized the Harmonic Convergence event, Arguelles was using the date 21 December 2012 in The Mayan Factor: Path Beyond Technology. He claimed that on 13 August 3113 BC the Earth began a passage through a "galactic synchronization beam" that emanated from the center of our galaxy, that it would pass through this beam during a period of 5200 tuns Maya cycles of 360 days each, and that this beam would result in "total synchronization" and "galactic entrainment" of individuals "plugged into the Earth's electromagnetic battery" by 13.0.0.0.0 ,21 December 2012. 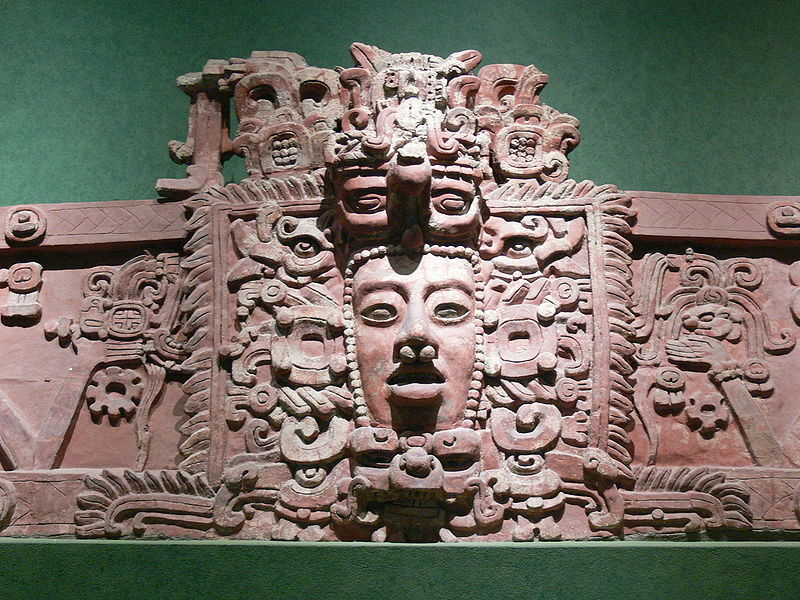 He believed that the Maya aligned their calendar to correspond to this phenomenon. Anthony Aveni has dismissed all of these ideas.In 2006, author Daniel Pinchbeck popularized New Age concepts about this date in his book 2012. The Return of Quetzalcoatl, linking b'ak'tun 13 to beliefs in crop circles, alien abduction, and personal revelations based on the use of hallucinogenic drugs and mediumship.Pinchbeck claims to discern a "growing realization that materialism and the rational, empirical worldview that comes with it has reached its expiration date we're on the verge of transitioning to a dispensation of consciousness that's more intuitive, mystical and shamanic. In the Solar System, the planets and the Sun lie roughly within the same flat plane, known as the plane of the ecliptic. From our perspective on Earth, the ecliptic is the path taken by the Sun across the sky over the course of the year. The twelve constellations that line the ecliptic are known as the zodiacal constellations and, annually, the Sun passes through all of them in turn. Additionally, over time, the Sun's annual cycle appears to recede very slowly backward by one degree every 72 years, or by one constellation approximately every 2,160 years. This backward movement, called "precession", is due to a slight wobble in the Earth's axis as it spins, and can be compared to the way a spinning top wobbles as it slows down.Over the course of 25,800 years, a period often called a Great Year, the Sun's path completes a full, 360-degree backward rotation through the zodiac. In Western astrological traditions, precession is measured from the March equinox, one of the two annual points at which the Sun is exactly halfway between its lowest and highest points in the sky. Presently, the Sun's March equinox position is in the constellation Pisces and is moving back into Aquarius. This signals the end of one astrological age the Age of Pisces and the beginning of another the Age of Aquarius.Similarly, the Sun's December solstice position in the northern hemisphere, the lowest point on its annual path; in the southern hemisphere, the highest is currently in the constellation of Sagittarius, one of two constellations in which the zodiac intersects with the Milky Way. Every year, on the December solstice, the Sun and the Milky Way, from the surface of the Earth, appear to come into alignment, and every year, precession causes a slight shift in the Sun's position in the Milky Way. Given that the Milky Way is between 10° and 20° wide, it takes between 700 and 1400 years for the Sun's December solstice position to precess through it. It is currently about halfway through the Milky Way, crossing the galactic equator.In 2012, the Sun's December solstice fell on 21 December. 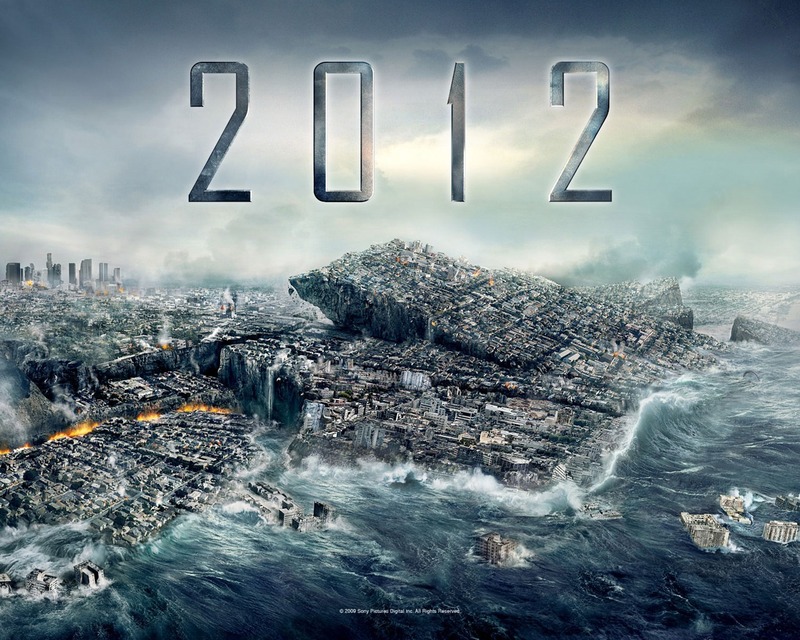 The idea that the year 2012 presaged a world cataclysm, described the end of the world, or of human civilization, on that date became a subject of popular media speculation as the date of 21 December 2012 approached. This idea was promulgated by many hoax pages on the Internet, particularly on YouTube. The Discovery Channel was criticized for its "quasi-documentaries" about the subject that "sacrifice[d] accuracy for entertainment".Some believers in a 2012 doomsday used the term "galactic alignment" to describe a different phenomenon proposed by some scientists to explain a pattern in mass extinctions supposedly observed in the fossil record. According to this hypothesis, mass extinctions are not random, but recur every 26 million years. Another idea tied to 2012 involved a geomagnetic reversal (often incorrectly referred to as a pole shift by proponents), possibly triggered by a massive solar flare, that would release an energy equal to 100 billion atomic bombs. This belief was supposedly supported by observations that the Earth's magnetic field is weakening, which could precede a reversal of the north and south magnetic poles, and the arrival of the next solar maximum, which was expected sometime around 2012.Most scientific estimates, however, say that geomagnetic reversals take between 1,000 and 10,000 years to complete,and do not start on any particular date. Furthermore, the U.S. National Oceanic and Atmospheric Administration now predicts that the solar maximum will peak in May 2013, not 2012, and that it will be fairly weak, with a below-average number of sunspots. In any case, there is no scientific evidence linking a solar maximum to a geomagnetic reversal, which is driven by forces entirely within the Earth.Instead, a solar maximum would be mostly notable for its effects on satellite and cellular phone communications. David Morrison attributes the rise of the solar storm idea to physicist and science popularizer Michio Kaku, who claimed in an interview with Fox News that a solar peak in 2012 could be disastrous for orbiting satellites, and to NASA's headlining a 2006 webpage as "Solar Storm Warning", a term later repeated on several doomsday pages. The phenomenon spread widely after coming to public notice, particularly on the Internet. Hundreds of thousands of websites were posted on the subject "Ask an Astrobiologist", a NASA public outreach website, received over 5,000 questions from the public on the subject from 2007,some asking whether they should kill themselves, their children or their pets. 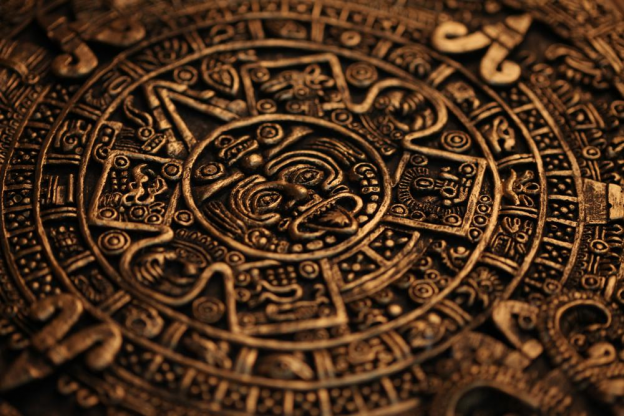 In May 2012, an Ipsos poll of 16,000 adults in 21 countries found that 8 percent had experienced fear or anxiety over the possibility of the world ending in December 2012, while an average of 10 percent agreed with the statement "the Mayan calendar, which some say 'ends' in 2012, marks the end of the world", with responses as high as 20 percent in China, 13 percent in Russia, Turkey, Japan and Korea, and 12 percent in the United States, where sales of private underground blast shelters increased noticeably from 2009. At least one suicide was directly linked to fear of a 2012 apocalypse,with others anecdotally reported. A panel of scientists questioned on the topic at a plenary session at the Astronomical Society of the Pacific contended that the Internet played a substantial role in allowing this doomsday date to gain more traction than previous similar panics. The 2012 phenomenon was discussed or referenced in several media. 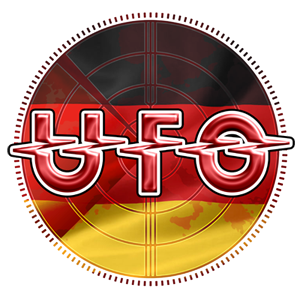 Several TV documentaries, as well as some contemporary fictional references to the year 2012, refer to 21 December as the day of a cataclysmic event.The UFO conspiracy TV series The X-Files cites 22 December 2012 as the date for an alien colonization of the Earth and mentions the Mayan calendar "stopping" on this date. Heute waren schon 33870 visitors (72195 hits) hier!